You may have already heard that Liverpool's Mathew Street Festival has been permanently replaced with the brand new forthcoming Liverpool International Music Festival. This will take place in our fabulous City from 17th to 31st August (further details to be announced). The introduction of this new festival has meant that there are a few small changes to our International Beatleweek schedule that was originally advertised. Changes include: Neil Innes & Friends show has moved to Monday 26th August. For those of you purchasing packages you'll also see that package prices have altered (mostly for the better!). 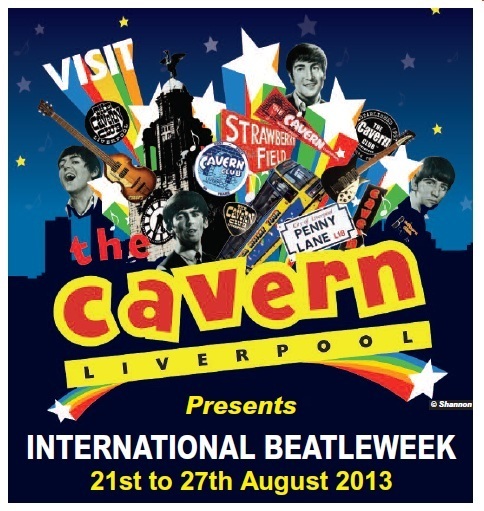 Please download your updated International Beatleweek brochure for all the updated information. We hope that you enjoy the addition of Liverpool International Music Festival to the city's celebrations. If you have any queries or questions regarding packages or tickets please contact us. Don't forget that event tickets are available to purchase on line so don't miss out!